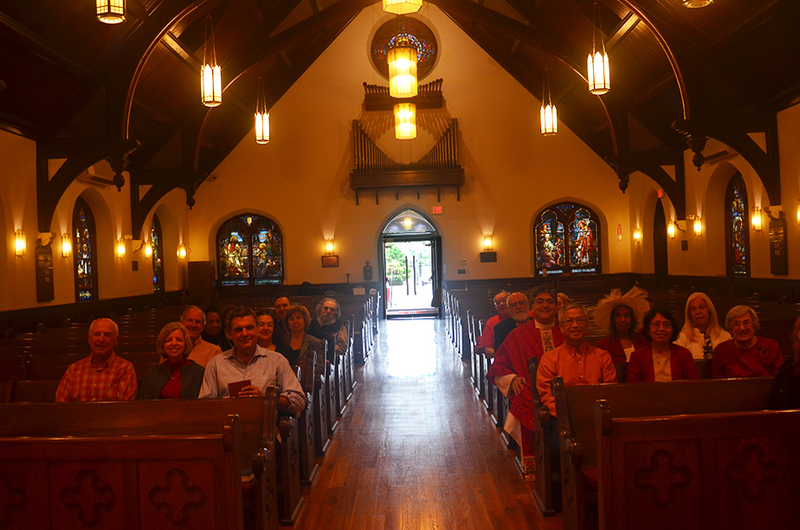 Christ Church, Ridgewood NJ, is a welcoming community of Christians of all ages from across Bergen County. Here you will find vibrant youth ministries, inspiring music, meaningful community outreach, and much more, grounded in the Episcopal tradition: the right blend of “reason, scripture and tradition” at our core. Come and see what God is doing here at Christ Church! And show us what God is doing in you! Easter egg hunt for children will be held after the JOY! and 10 AM services. We are so grateful for your faithful membership at Christ Church; your generosity truly sustains our ministry together. Thank you for your prayerful consideration of your pledge to support the ministries of Christ Church in 2019 both financially and through volunteering your time and talents! Together, we can reach our goal of 100% participation in pledging. If you have not yet made your pledge for 2019, please do so using the "Pledge Online" button below! Please feel free to contact our Stewardship Chair, Deanna Najork, with any questions. Thank you again! Every year, the Christ Church Memorial Scholarship raises funds for graduating HS seniors and those attending college. For more information, contact Kristen Lee. Our journey following Jesus’ joyous entry into Jerusalem, the Institution of the Holy Eucharist, and the Crucifixion has now brought us to the triumph of His Resurrection. The music for our services this morning unapologetically reflects the glory of this feast day and the splendor of springtime with the assurance of new life which the Resurrection conveys. We joyfully sing Alleluias in our hymns of praise but we listen as well to a blessed singer as she skillfully navigates the coloratura and ornamentation of Mozart’s ravishingly elegant lines illuminating that one supreme word: Alleluia. We welcome four gifted young brass players from Ridgewood High School as they augment our Easter hymns and undertake the great classics with accomplishment and enthusiasm. 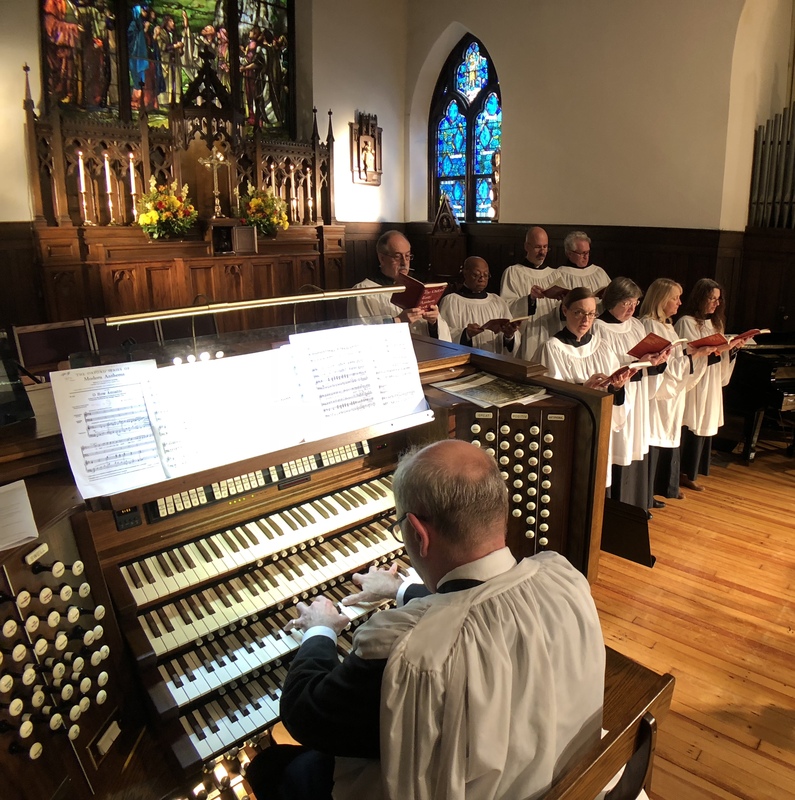 Finally, we hear the devoted singing of both youth and adults whose tireless efforts to praise their Creator and countless hours of rehearsal to perfect those praises edify our liturgies week in and week out. Thanks be to God! 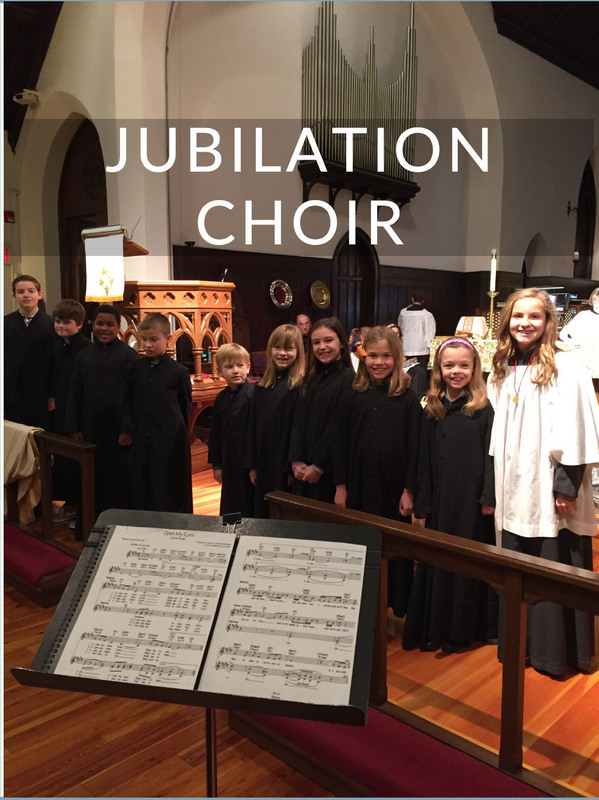 The Jubilation Choir is open to boys and girls 5th grade through high school. The choir performs on Youth Sundays and special services during the program year. The choir rehearses after the 10:00 am service from 11:15 to noon in the choir room. Schola Cantorum also invites those interested to learn to play our set of hand chimes and other instruments while developing musicianship skills. 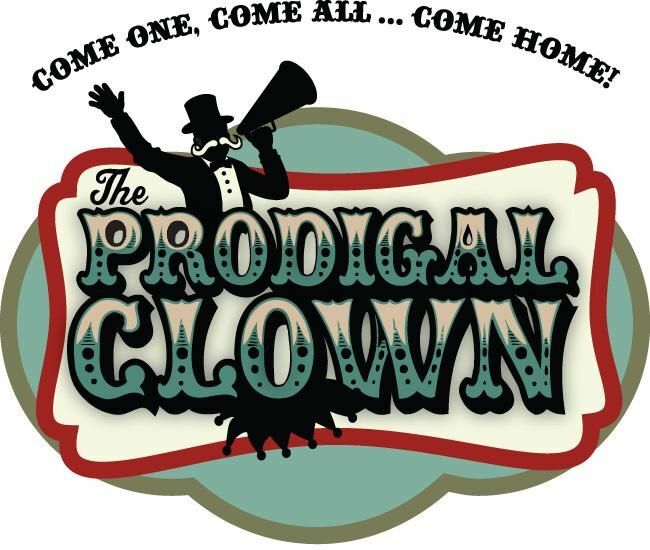 Our annual VBS Musical Theater Camp will be held August 12-16, 9:00AM - noon. JOY worship runs all year long! Sunday service and eucharist perfect for children ages infant-5yrs. Come be part of the fun from 9:15-9:45AM. 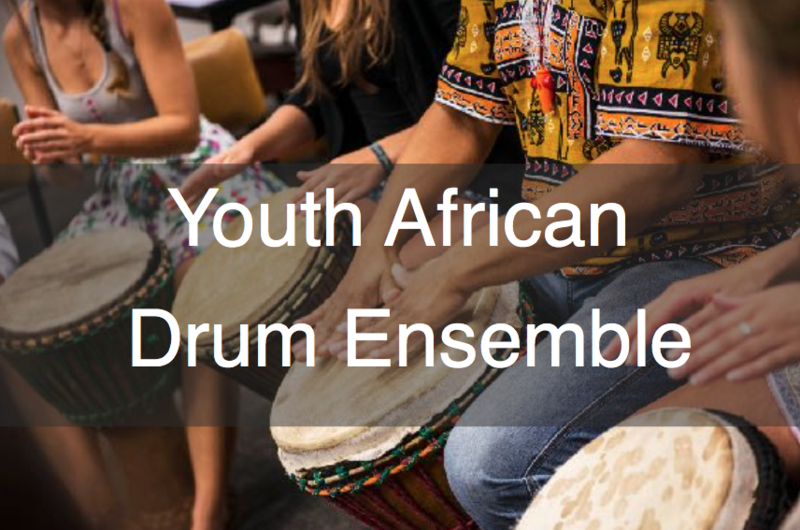 Youth of all ages are welcome to join the African Drumming Troupe. The Youth African Drumming Troupe performs on the first Sunday of every month. This group is led by Marlene Whittemore Pillow directly following Sunday School on the first Sunday of the month, in one of the lower level classrooms. Bring your drum if you have one. All are welcome!